No deer species in North America is more respected or sought after than the whitetail. 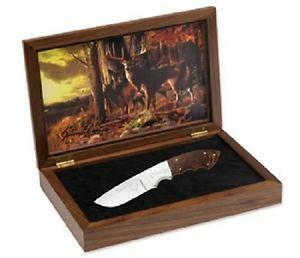 This special Whitetail Legacy Limited Edition knife honors this wily deer and will make an excellent gift to the dedicated hunter who pursues them. The handsome handles are shaped from exquisite mesquite burl wood and feature finger choils (grooves) for a more secure feel. The highly polished, hollow ground fixed blade is carefully crafted from Sandvik® steel with a tapered tang and dovetailed bolsters. A beautiful whitetail deer lithograph is included and suitable for framing. 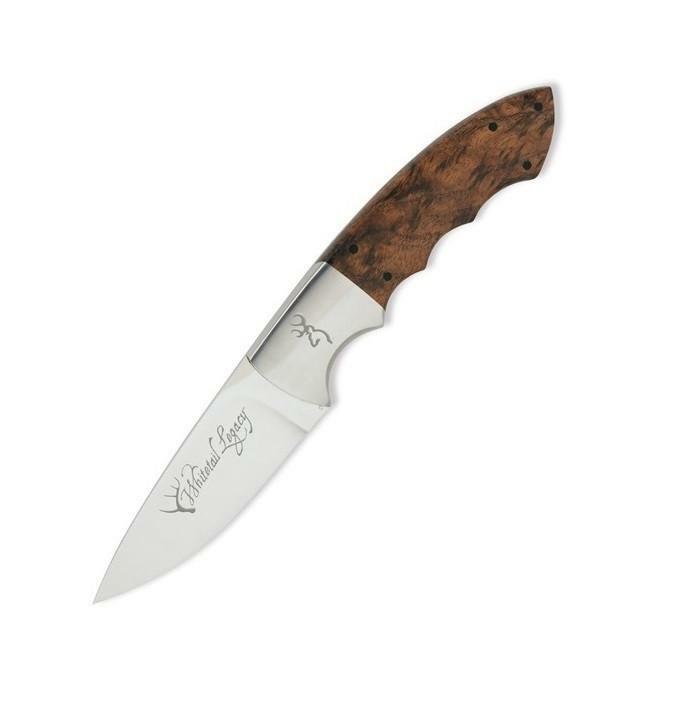 Owners of this deluxe limited edition knife will want to display it and can do so proudly in its felt-lined, hand-crafted walnut presentation box. Wood and glass display box.